A story made of love. 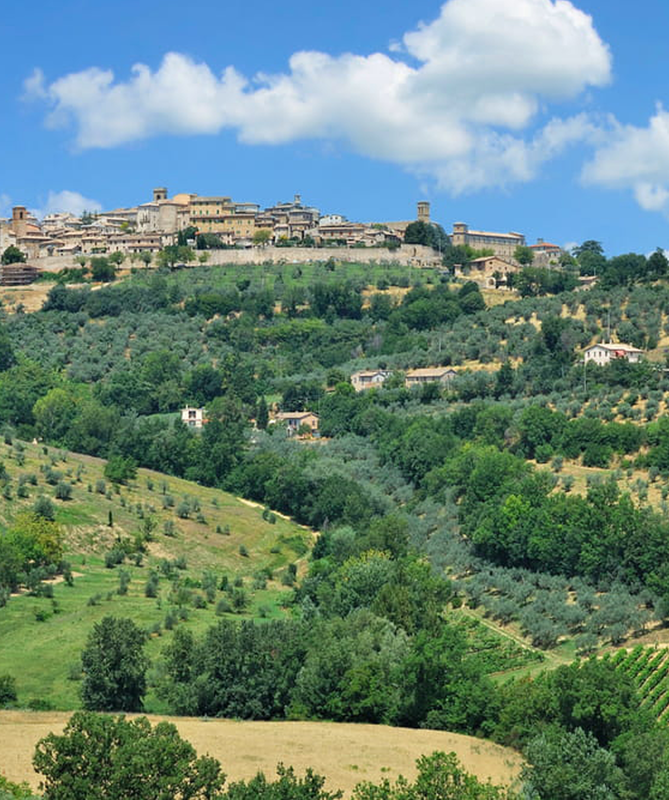 Love for the Umbrian hills, love for quality, love for the "magic" that brings a bunch of grapes to turn into a liquid capable of challenging time. A story that originated in the early '900 from the desire to realize a dream: create excellent wines in full respect of the surrounding area. 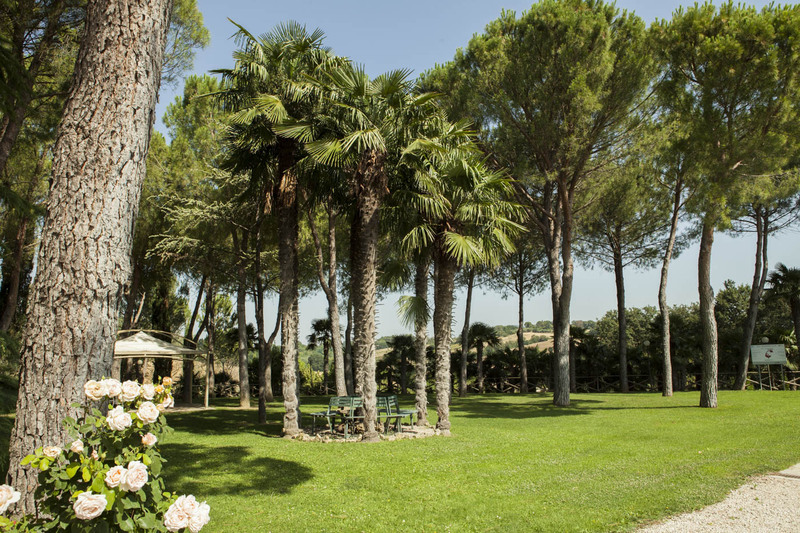 The Goretti estate stands on a hilly area near Perugia, where the alternation of sunrises and sunsets, such as to generate intense colors and evocative panoramas, together with the fertile Umbrian soil, give life to exclusive vineyards able to overcome the boundaries of the own territory earning an international success. In our farm the wine vocation of the place is sublimated, the entrepreneurial experience of our family and the enthusiasm in producing products of excellent quality. A passion, ours, that animates and inspires a meticulous care of details in harmony with the environment that surrounds us. Bulwark of the estate imposes itself as an attentive supervisor of the surrounding landscape. Originally from the fourteenth century and recently restored, it is the flagship and the undisputed emblem of the Goretti labels. Wide and pleasant, it is the right place to blend with nature and sip our delicious wines in the company of the most expensive people. It is the setting for our suggestive estate. 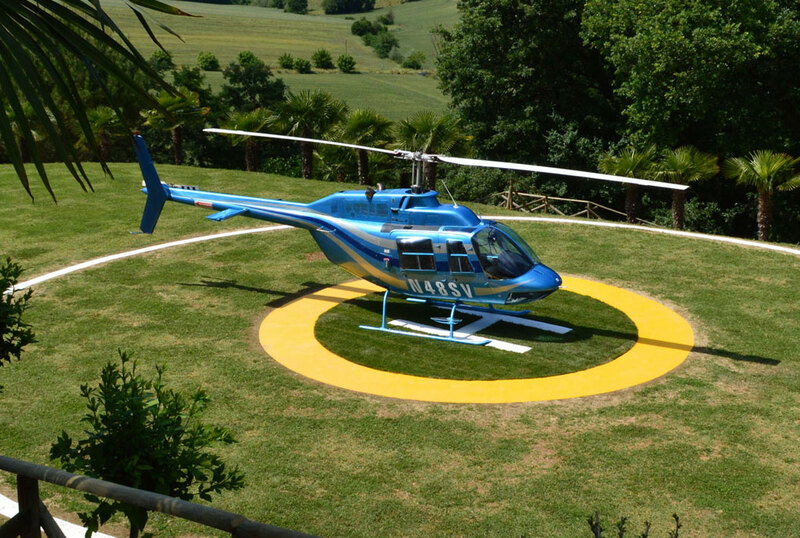 Located in the park adjacent to the tower, it is the ideal solution for those who want to admire from our helicopter, from our suggestive cellars, and enjoy the enchanting view over our vineyards. Not just a “commercial showcase”, but a unique opportunity to immerse yourself in the history of our wines of which you will learn to appreciate its characteristics, thanks to the professionalism of our staff. 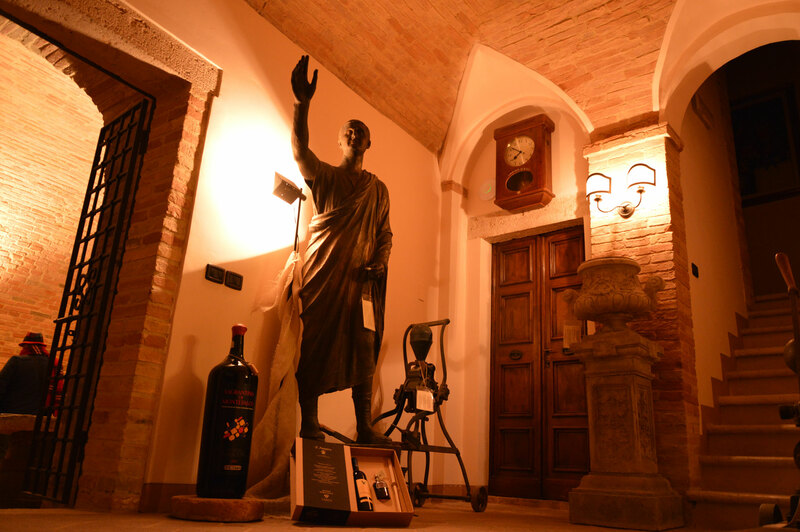 It is the room that best lends itself to tasting our main labels accompanied by typical products of Umbrian gastronomy. Place where relaxation is combined with unique and exceptional tastes. 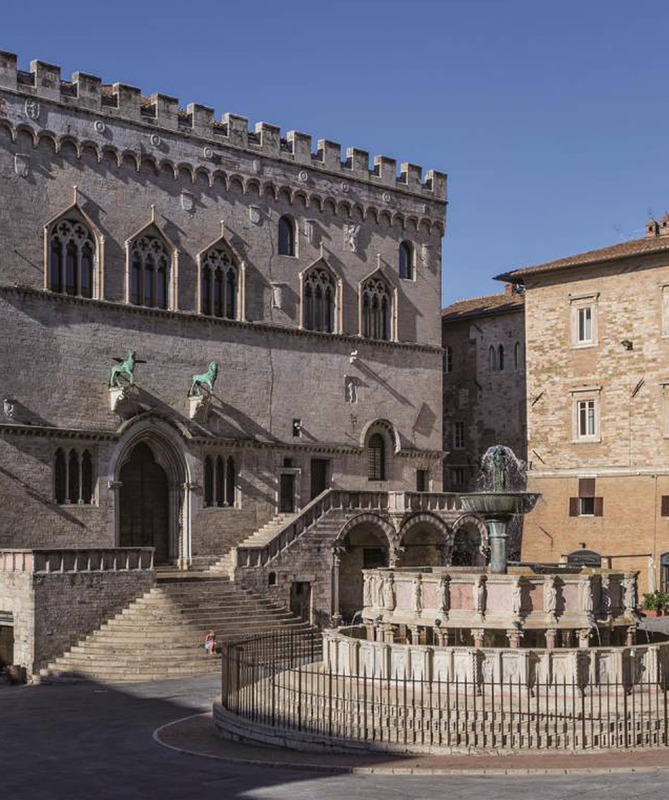 Equipped with a professional kitchen, used for the service of about 70 seats, responds to the will of those tourists who wish to grasp the secrets and peculiarities of the Umbrian culinary tradition. 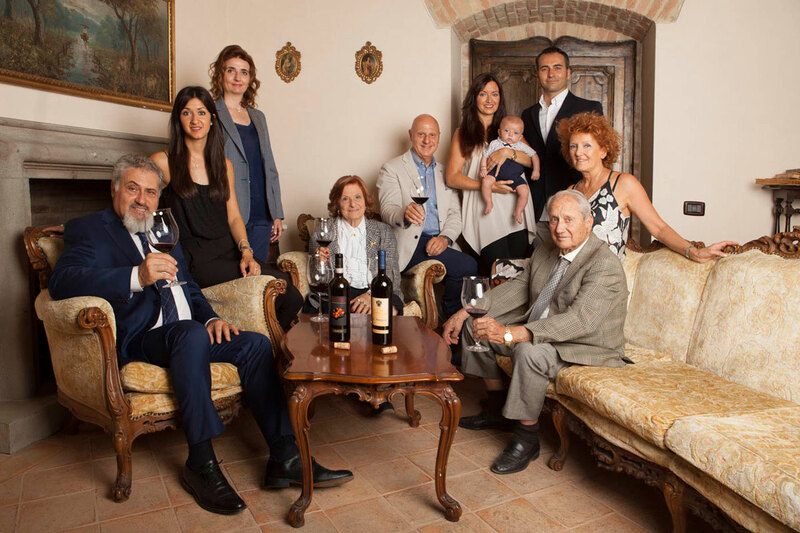 Conceived in the past as a war shelter, it is today used to preserve the integrity and richness of our grapes, jealously guarding them in the evocative barrels. Warm and elegant environment, in harmony with the style of the estate, available to those who wish to spend more time discovering our history tasting excellent wines. The quality of the wine passes through the identity of each individual winery that makes the territorial rooting a real trademark. Concentrating in the harmony of flavors the attachment to one’s roots and knowing how to transfer it to the finished product is a real art and represents the peculiar style of our cellars. Specializing in the production of two important reds, the Sagrantino di Montefalco DOCG and the Rosso di Montefalco DOC, this modern and technological winery characterized by the brand “Le Mura Saracene” works in the belief that the quality of wines is never the result of improvisation but of a deep knowledge of land, climate and production processes. 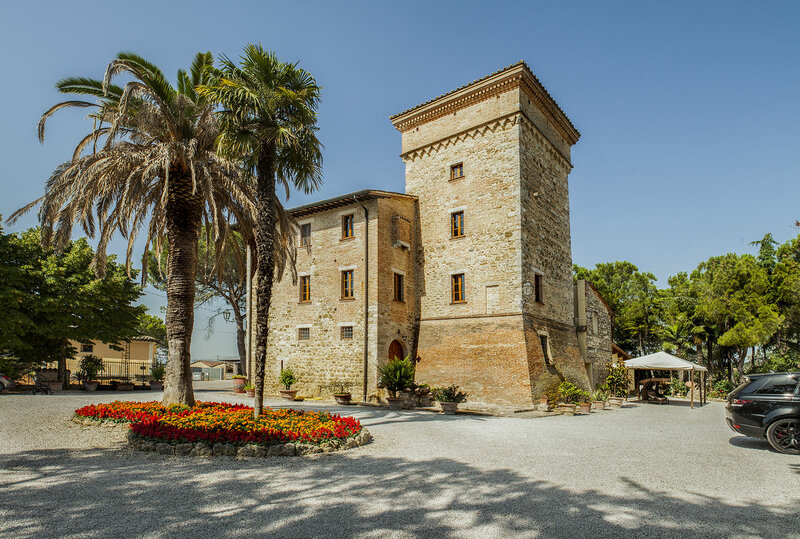 Historical estate of Pila, located at the gates of Perugia, is specialized in the production of native wines of the Umbrian territory and of great Italian classics with DOC and IGT quality labels. Il nostro orgoglio, il nostro volto, il luogo dove risiede il nostro cuore. Il buon vino del resto non nasce in cantina ma tra le file dei vigneti. Over the years our company has invested more and more in the direct management of the vineyards, with the aim of experimenting and refining the best grape growing techniques and therefore improving the raw material, an essential element for the production of high quality wines. Today our winery is able to offer a line of high quality wines produced by our vineyards, the result of careful selection and care, which represent the best result of our work. The vineyard is the starting point, the place where the main characteristics of each wine are outlined. Our pride, our face, the place where our heart resides. The good wine of the rest is not born in the cellar but in the rows of the vineyards. Goretti cellars have always been at the forefront of environmental protection. Every business choice is inspired by obtaining the best quality of the grapes without undergoing excessive stress neither the vine plant nor the soil. The cellars do not produce certified organic products but have always paid attention to the environmental impact that the winemaking production of companies can have, knowing that to make the difference of the products is the protection of their territories from which the vines are born and grow. Environmental sustainability is therefore intended for Goretti wineries as the best way to transfer to a new generation a company and a territory that is not impoverished and excessively exploited but still rich in natural and human resources. On 9th July 2013 the Goretti wineries received the Cifo prize “excellent footprints: sustainable agronomic techniques for a valuable viticulture”, dedicated to good environmental practices in the vineyard and in the cellar. As evidence of the continuous search for innovation in respect of the environment, the cellars continue to invest in renewable energy through a photovoltaic system and operating in the local market with 100% electric means.